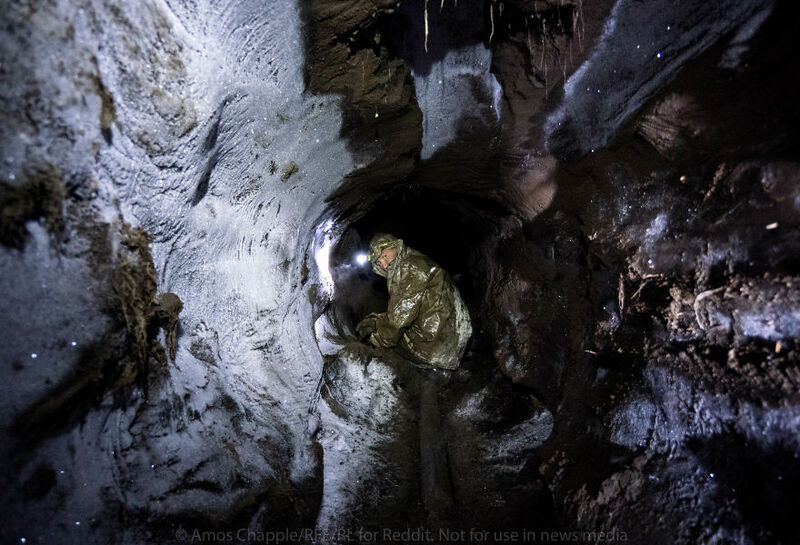 In Russia’s isolated and remote region of Siberia, an underground economic boom is taking shape. 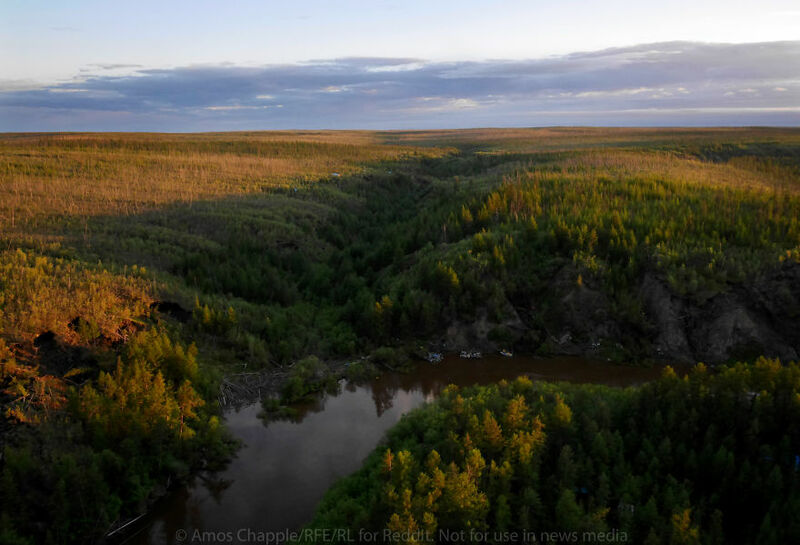 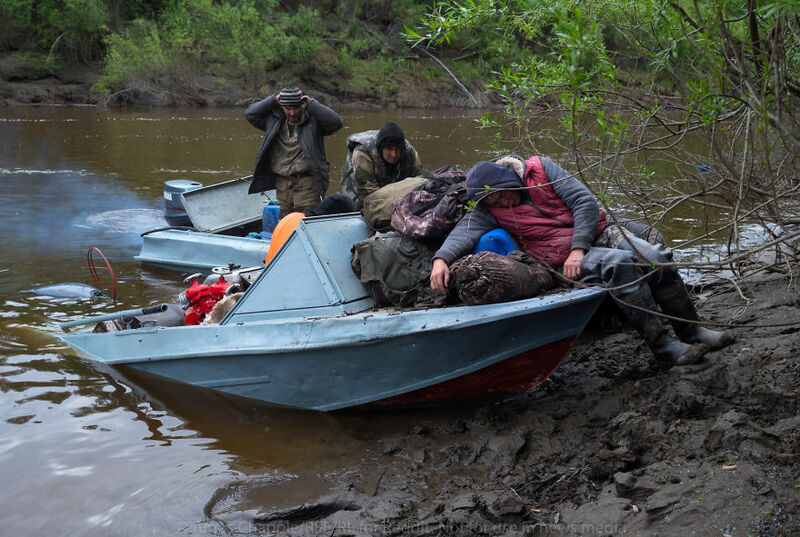 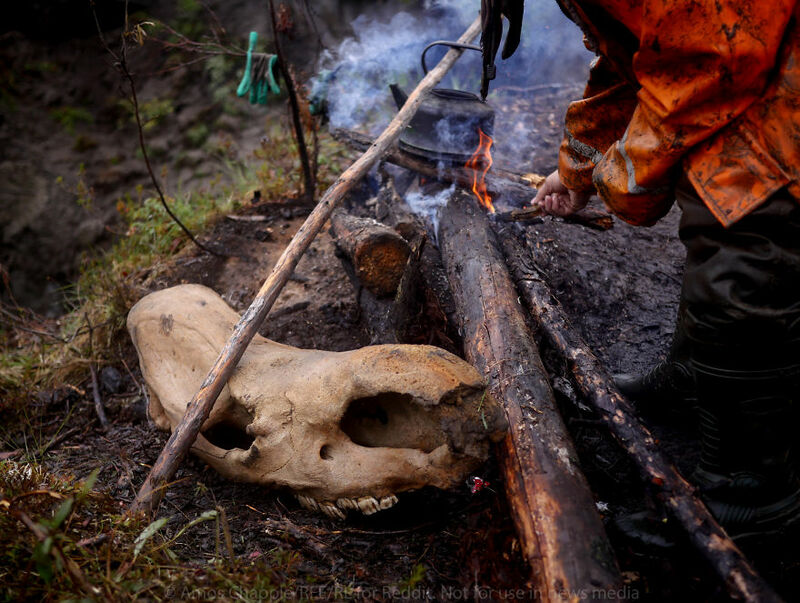 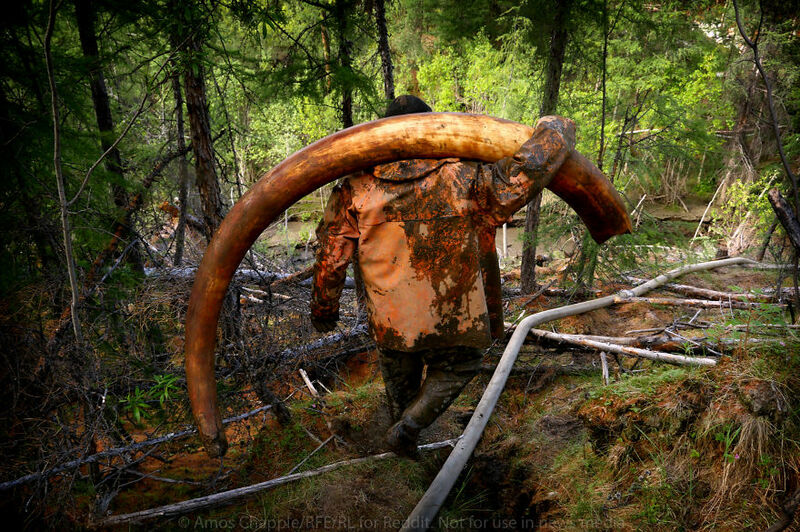 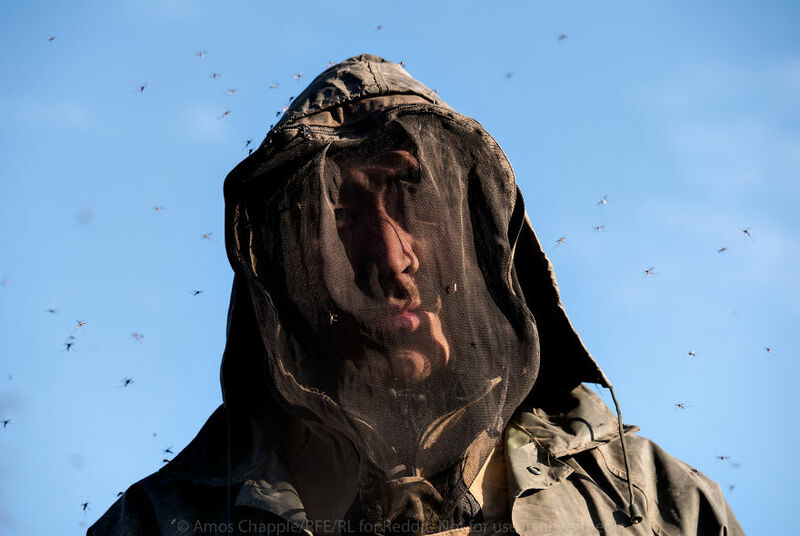 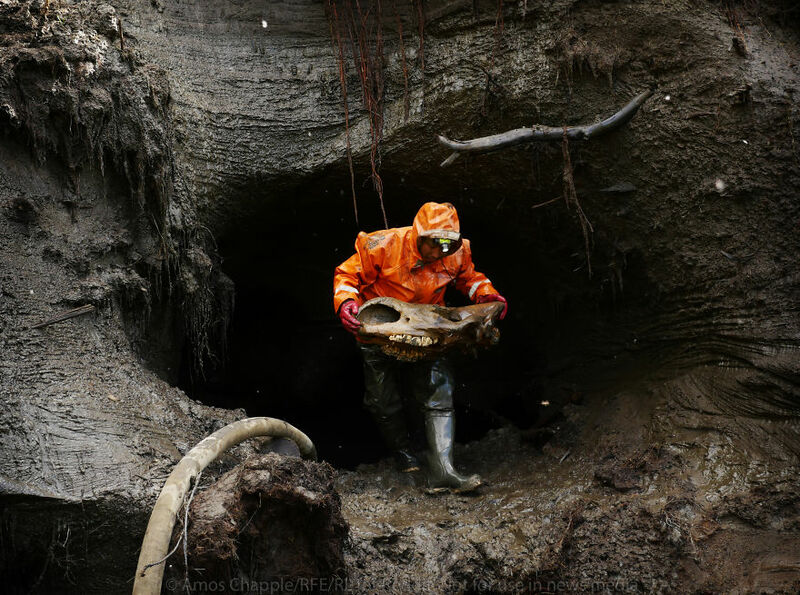 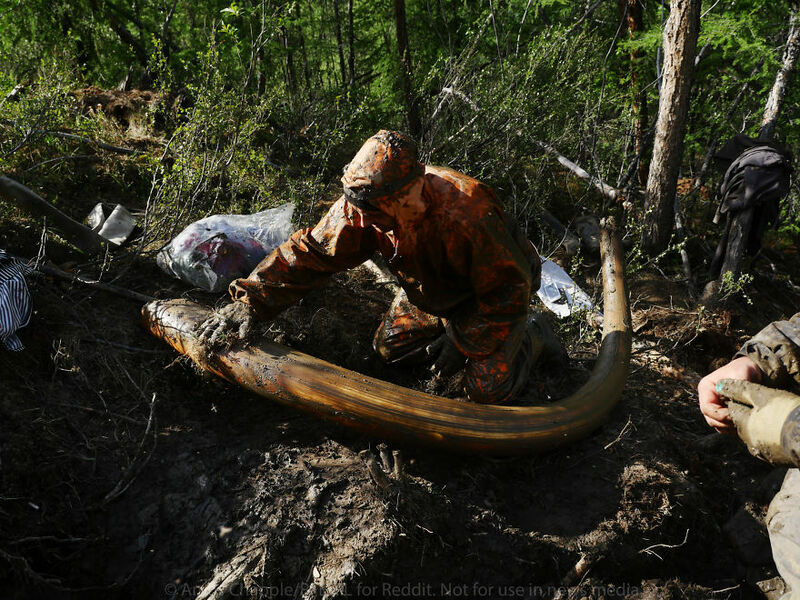 Radio Free Europe photographer Amos Chapple, back in 2016, went inside the dark world of the Russian men illegally mining for tusks and remains of the long-extinct woolly mammoth, in hopes of cashing in on black market trade. 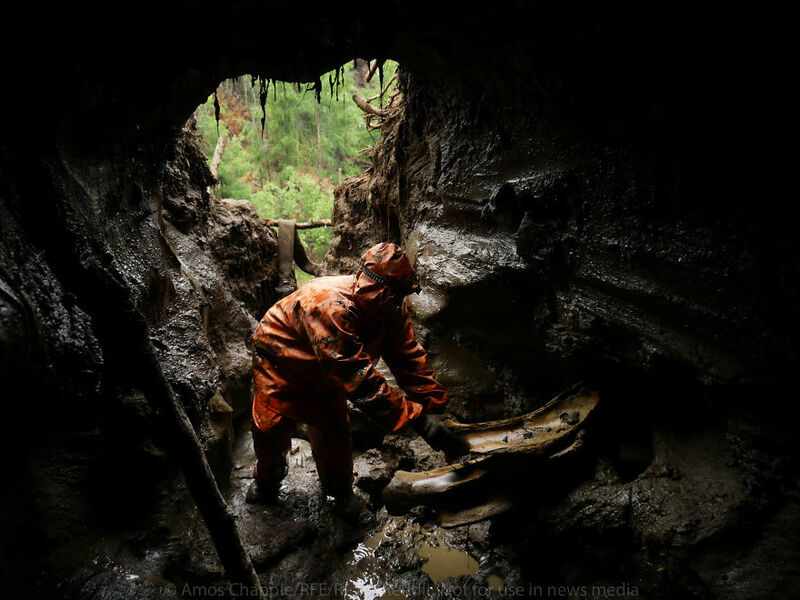 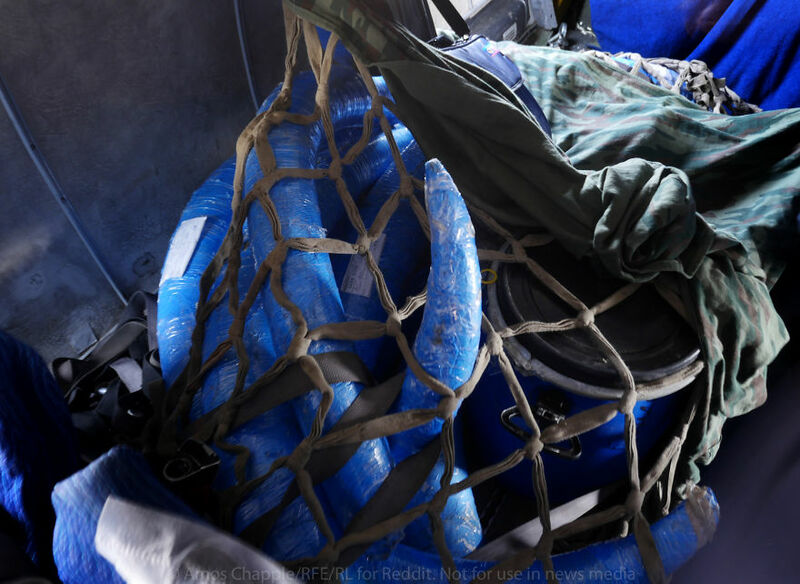 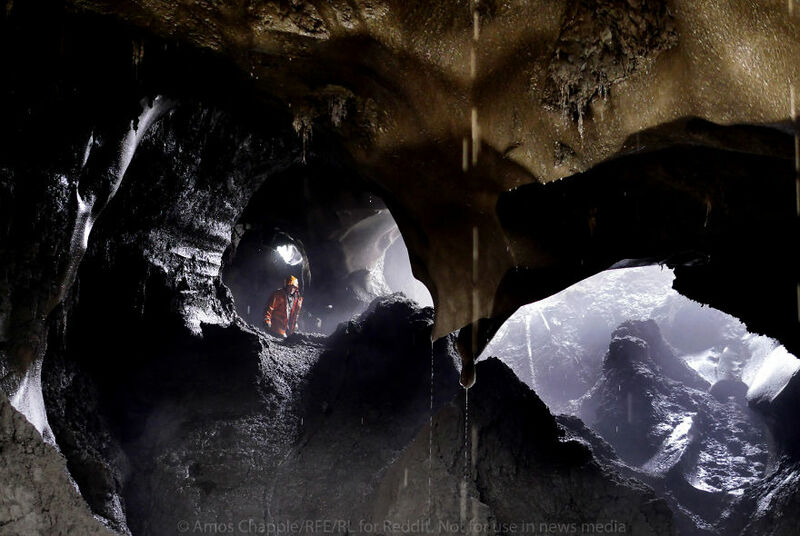 The images he captured show a compelling cycle of toil, desperation, and environmental consequence. 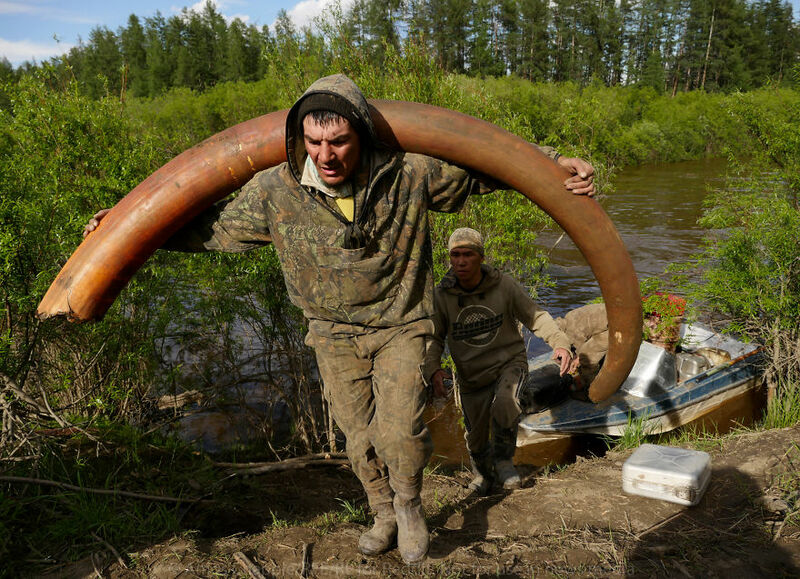 Woolly mammoths, lost arctic relatives of the modern elephant, are thought to have lived in Siberia about 400,000 years ago. 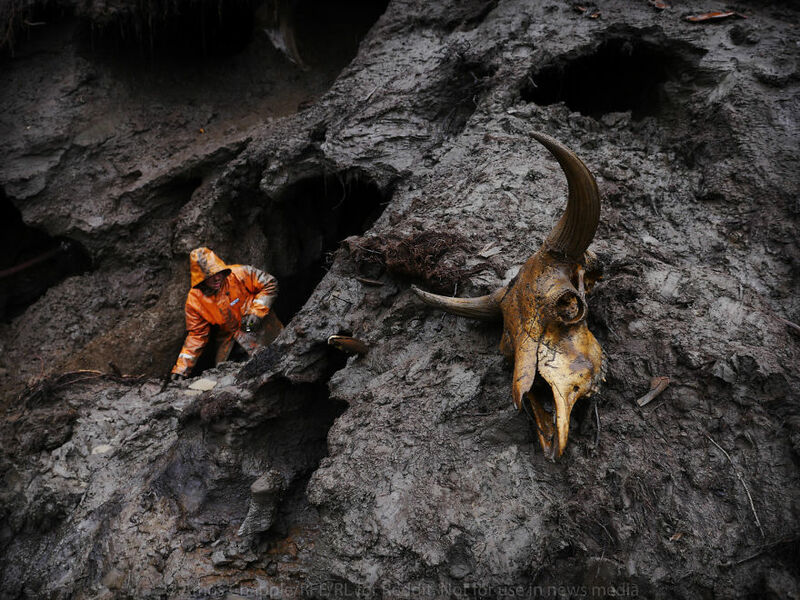 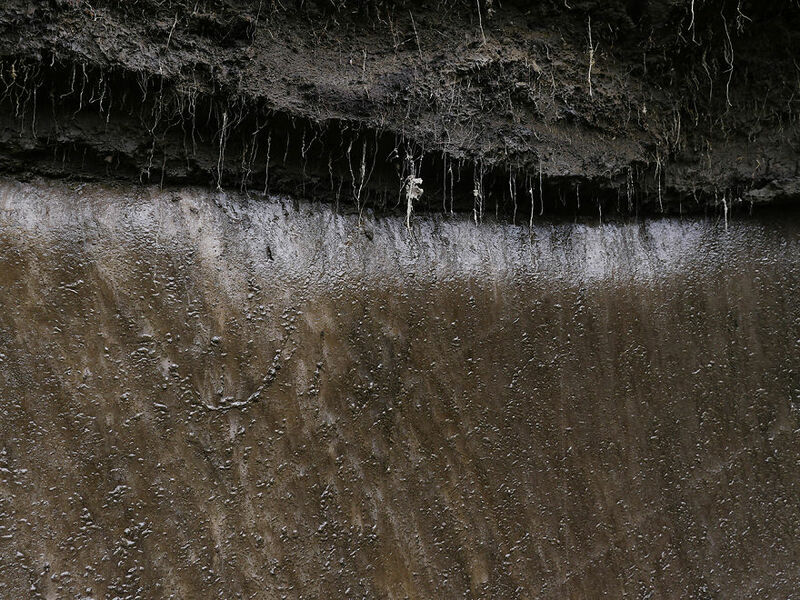 The area now experiences year-round permafrost, a thick layer of ice beneath the ground, which has helped to preserve submerged mammoth skeletons for millennia. 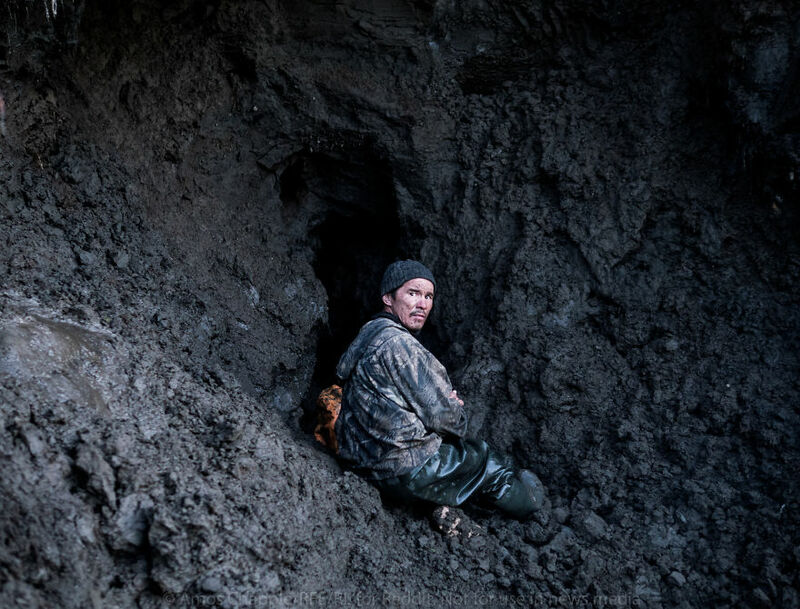 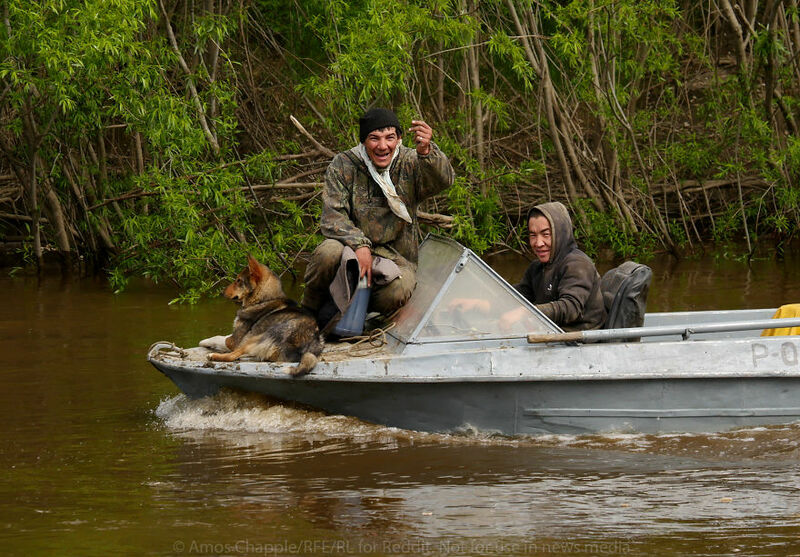 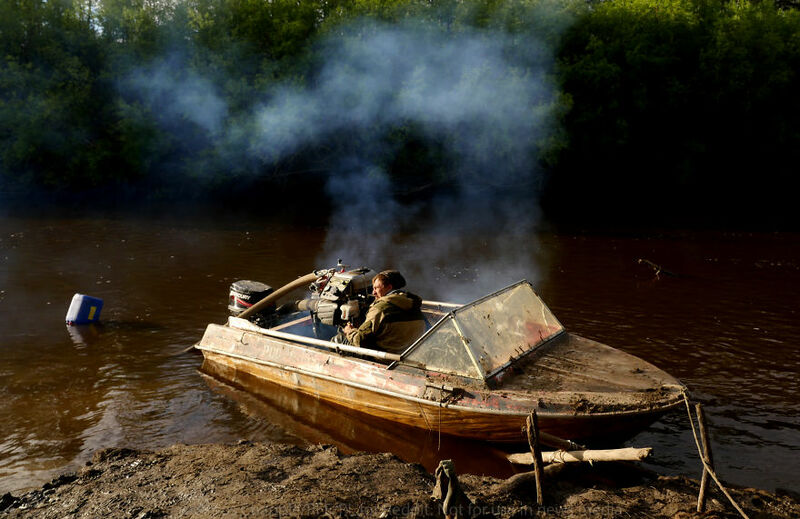 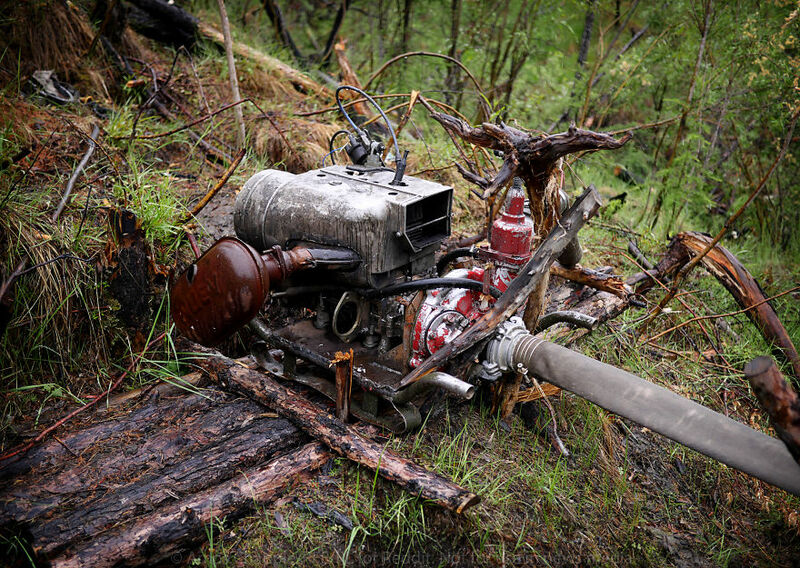 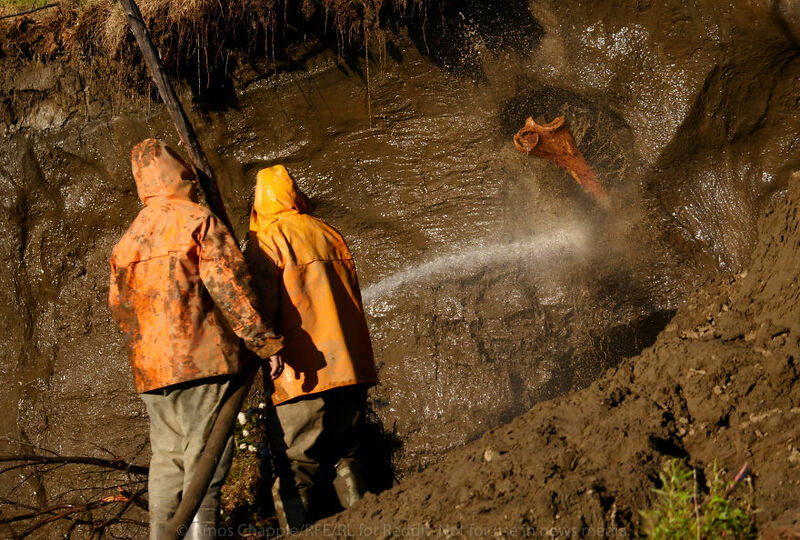 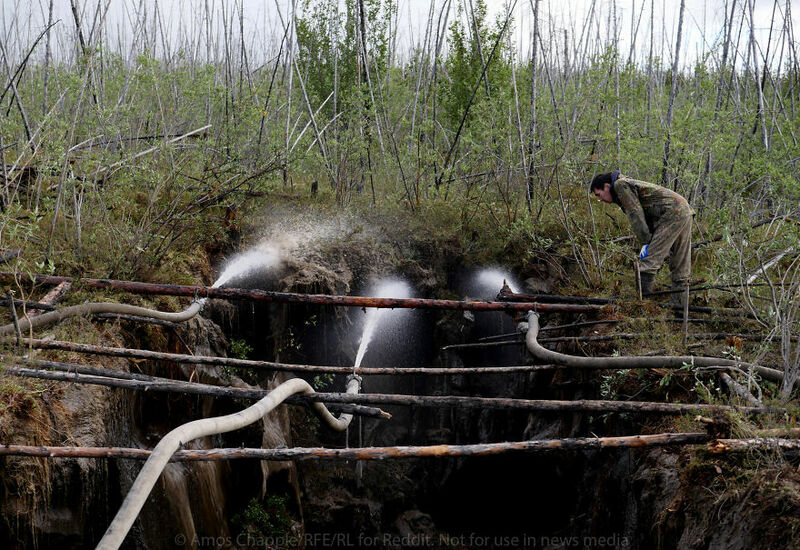 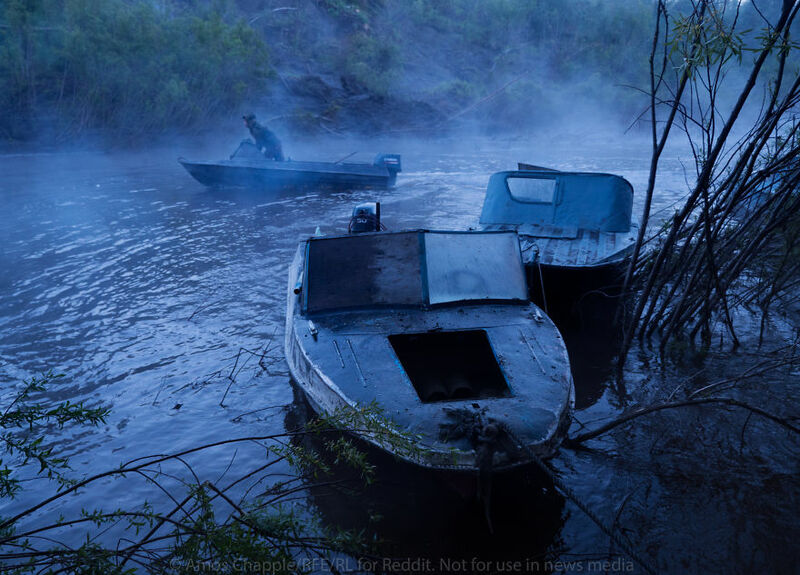 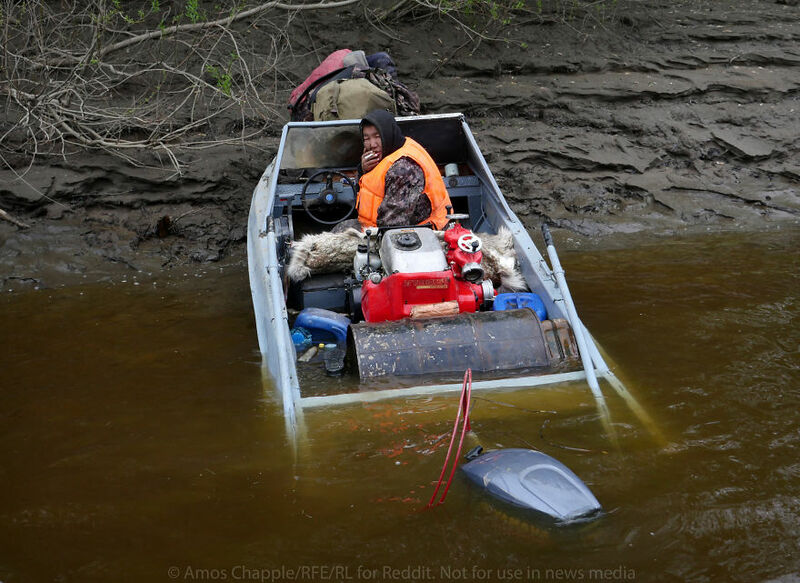 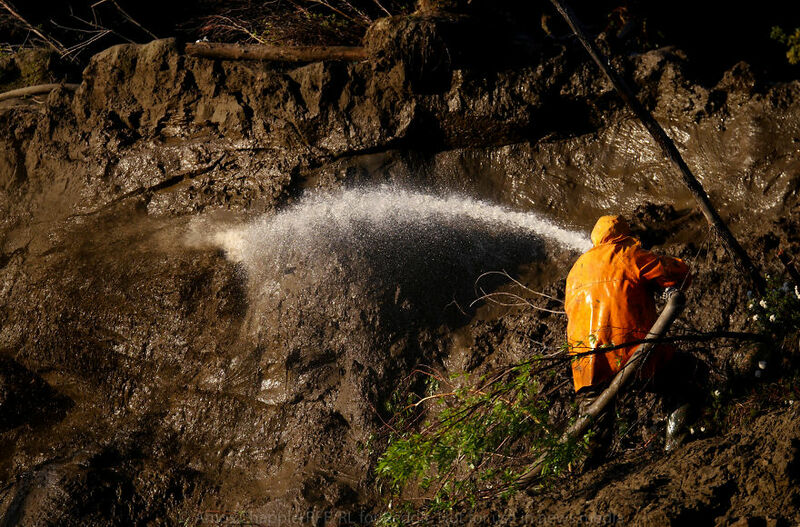 In order to reach the buried treasures of this hostile land, the men seeking it have to blast the thick, icy mud with water pumped from nearby rivers, which can take months on end. 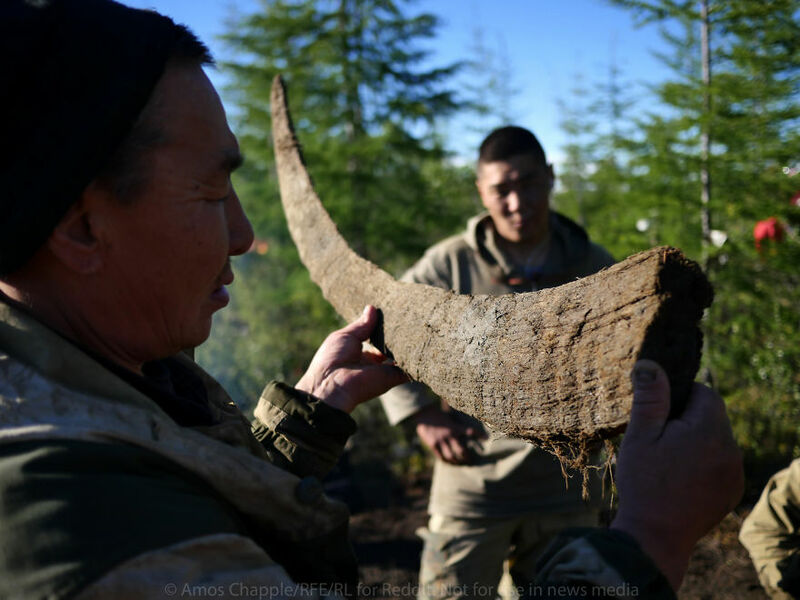 It’s a dangerous, illegal, and taxing job, but with mammoth tusks selling at around $35k a piece to eager Chinese buyers, it’s a worthwhile risk to men coming from cities where the average monthly wage is under $500. 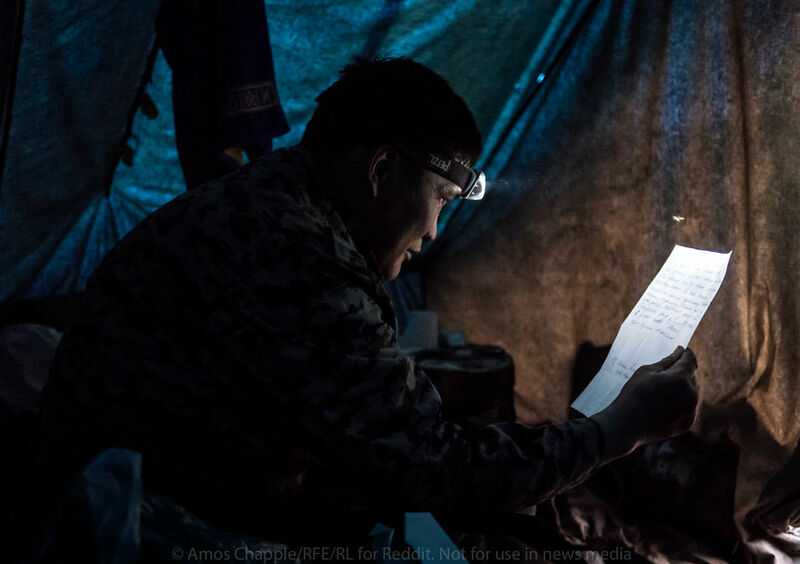 It’s not all diamonds and glory, however. 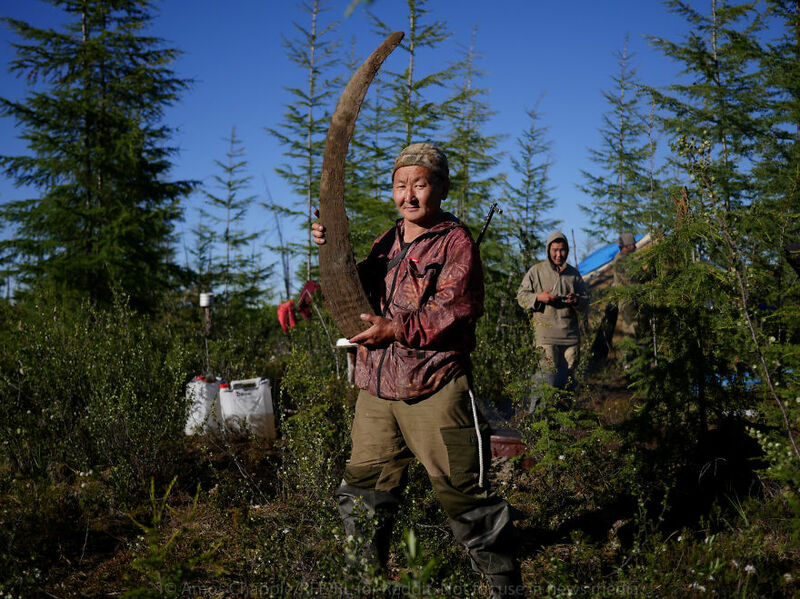 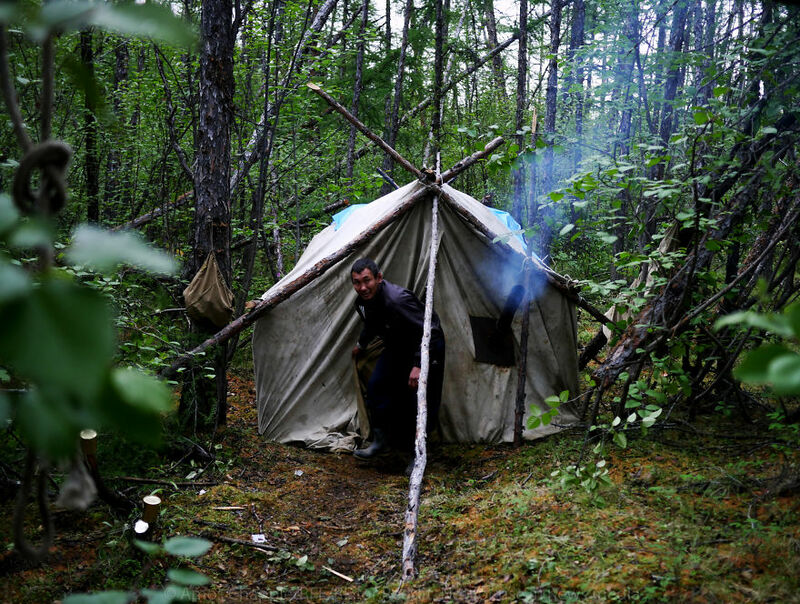 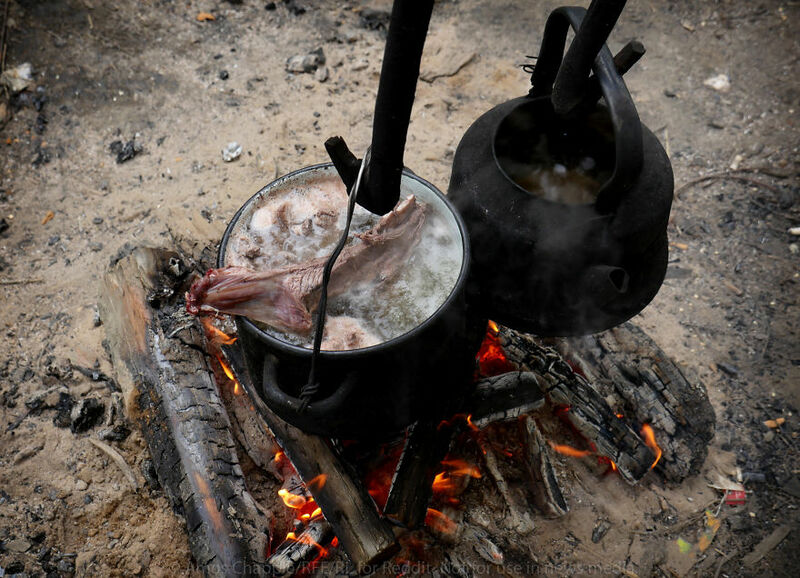 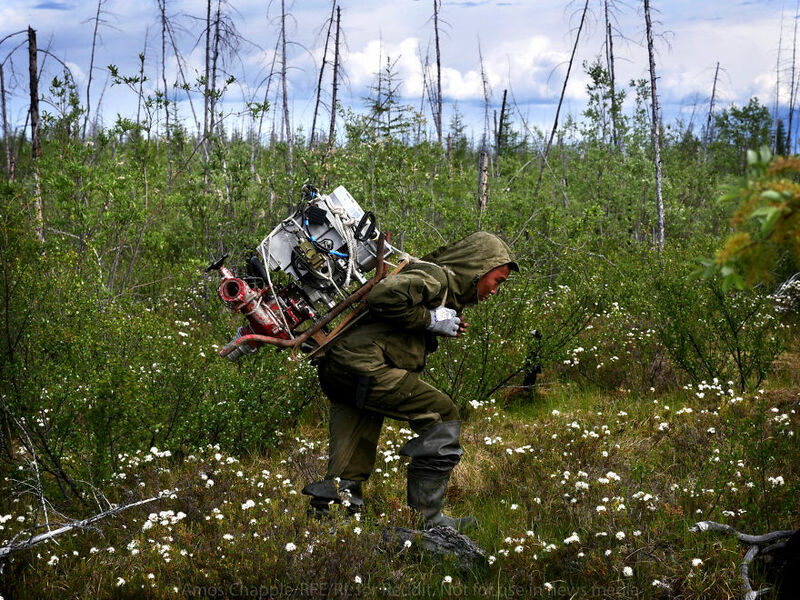 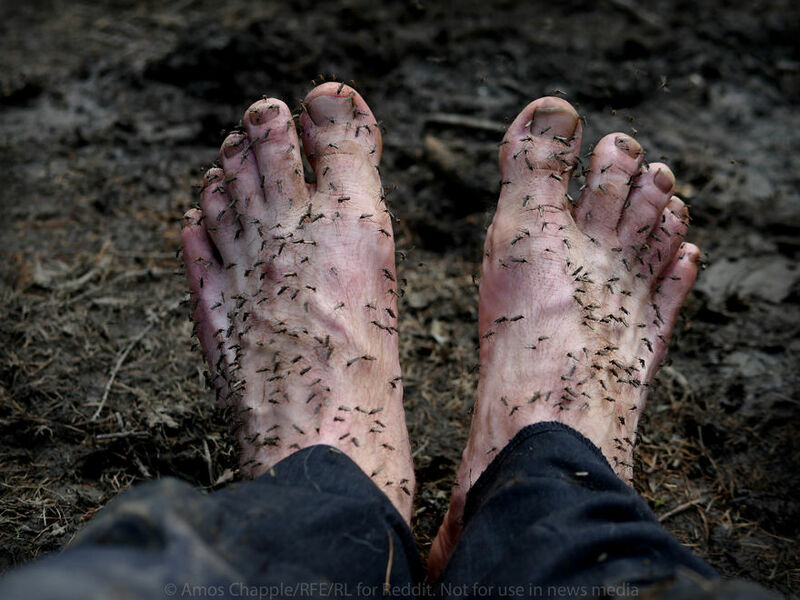 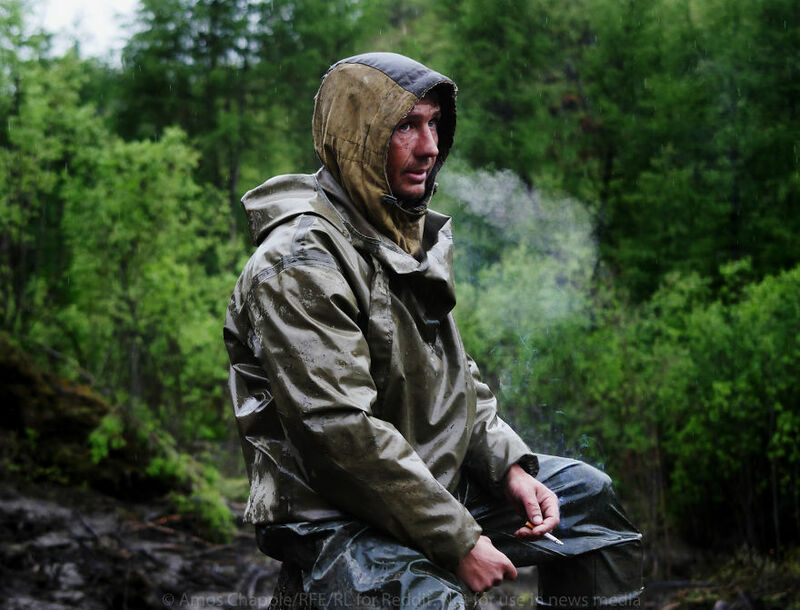 The men setting out on tusk hunts leave their families behind to brave rugged terrain, hoards of mosquitoes, and constant fear of detection by police, which could result in fines or jail sentences. 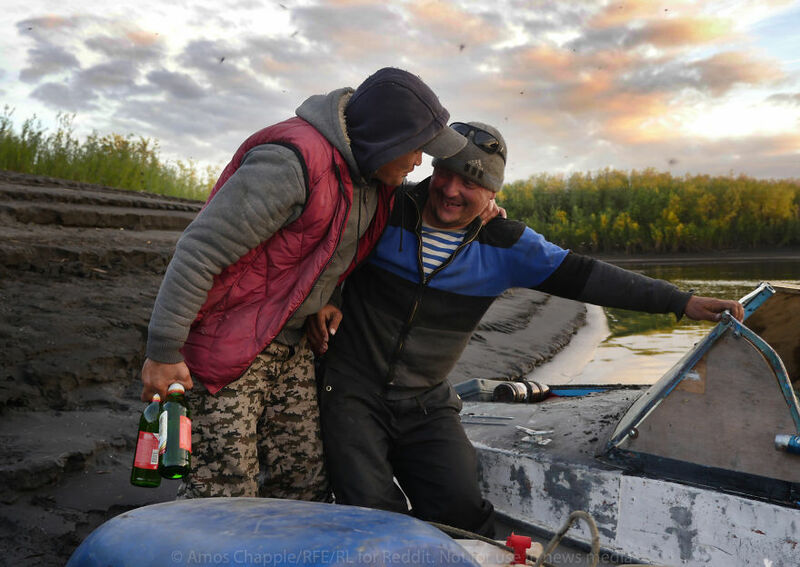 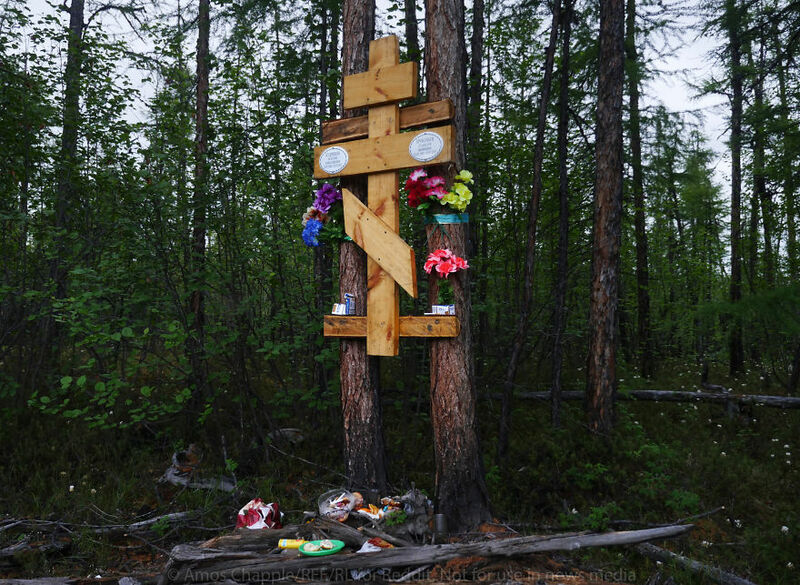 They guzzle quarts of vodka and cheap beer to cope with the ordeal, leading to frequent fights among miners. 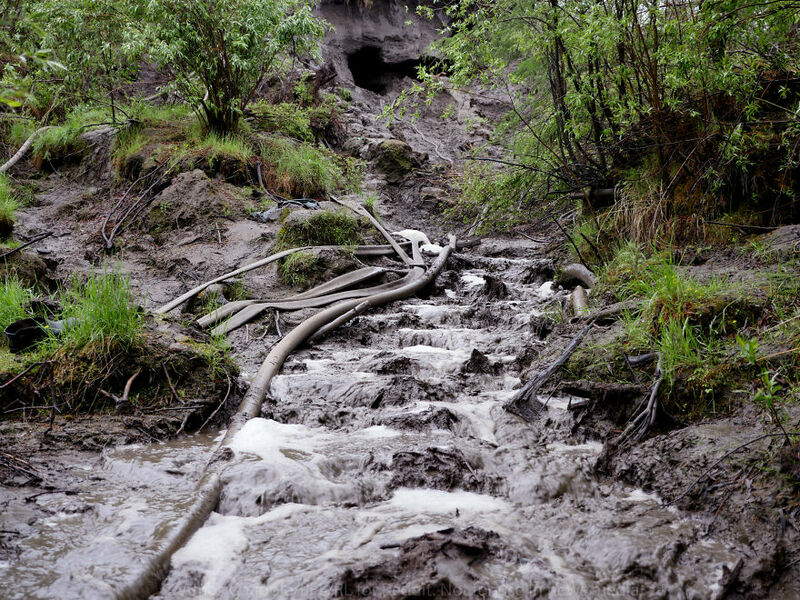 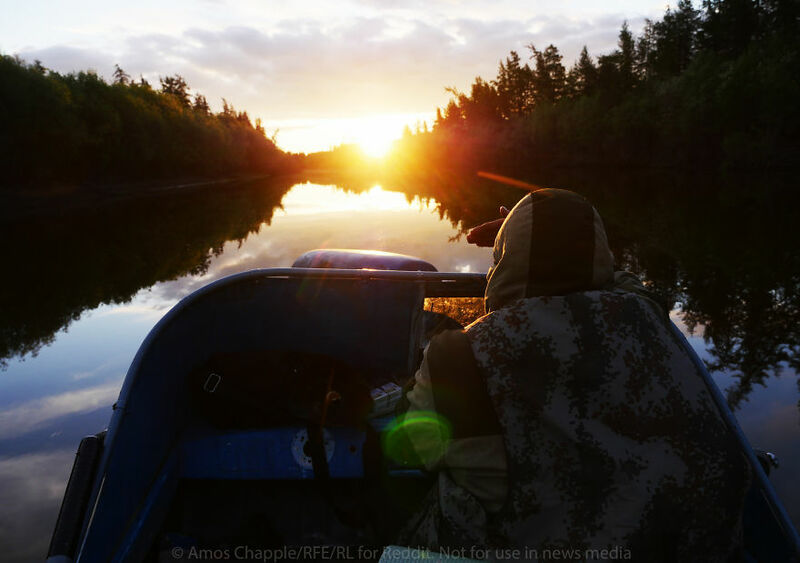 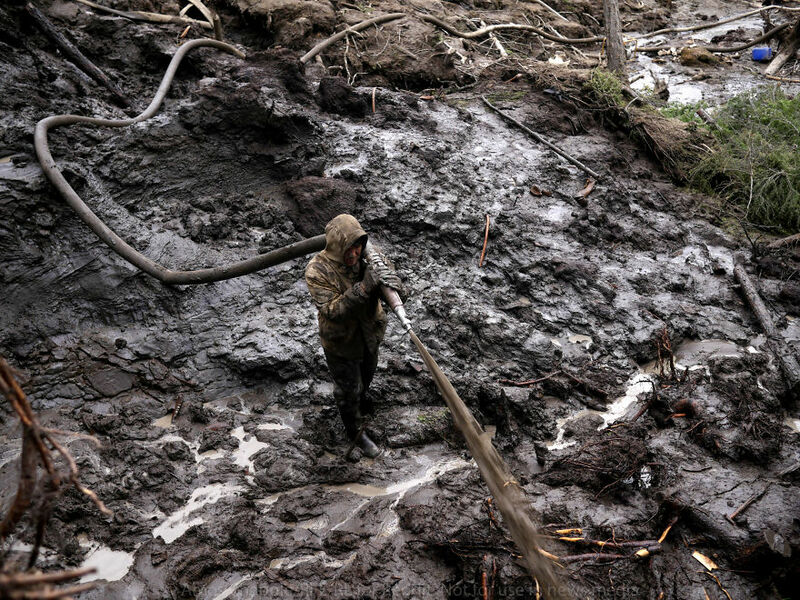 Perhaps worst of all is the toll their work takes on the environment; the run-off water from the frozen earth they douse returns to the surrounding rivers, polluting water streams and raising silt levels dramatically. 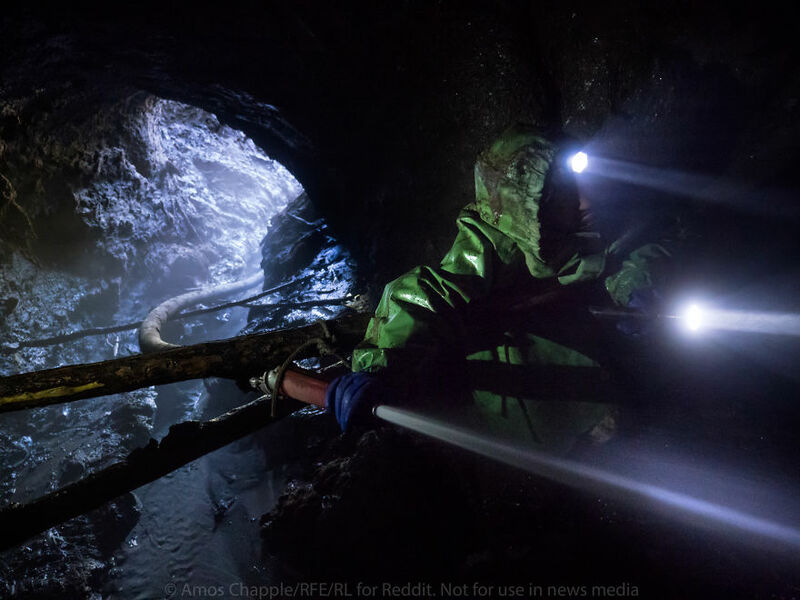 Take in the entire series below, accompanied by Chapple’s own commentary as written in his RFE article, and witness the plight of men craving to get rich, and willing to die trying.